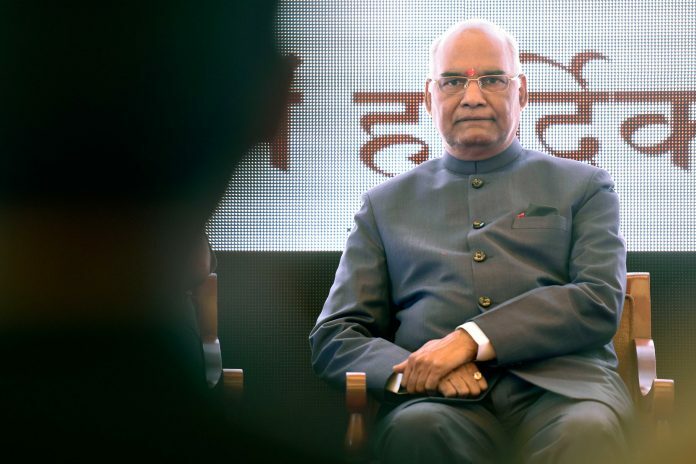 New Delhi: A letter purportedly written by over 150 veterans of the armed forces to President Ram Nath Kovind complaining about parties using them for political gains in the run-up to the Lok Sabha elections has kicked up a storm. Sources in the Rashtrapati Bhavan have denied receiving any such letter. When told the letter was sent via mail, they said they will have to check. Some veterans, named among the 153 undersigned in the letter, denied signing it, while some endorsed it. The letter shared on social media Thursday night read: “We refer, Sir, to the unusual and completely unacceptable practice of political leaders taking credit for military operations like cross-border strikes and even going so far as to claim the armed forces to be ‘Modi ji ki sena’”. Uttar Pradesh Chief Minister Yogi Adityanath had recently described the armed forces as “Modiji ki sena” at an election rally. Days later, Prime Minister Narendra Modi while addressing a rally in Maharashtra had asked first-time voters to dedicate their votes to those who carried out the Balakot air strikes. “A letter to the Chief Election Commissioner last month had elicited a prompt response. A notification has been issued asking for an explanation from those responsible for these statements, including from the Chief Minister of Uttar Pradesh,” the letter read. “However, we regret to state that these do not appear to have resulted in any substantive change of behaviour and practice on the ground,” the letter said. The veterans said it was a matter of considerable concern and disquiet among both the serving and the retired personnel that the armed forces were being used to pursue political agenda. “Soldiers, sailors and airmen owe allegiance to the Constitution, of which you, as President, are the legal custodian,” as per the letter. The letter requests the President to take necessary steps urgently. The ex-servicemen have asked all political parties “to desist from using the military, military uniforms or symbols, and any actions by military formations or personnel, for political purposes or to further their political agendas”. Former Air Force chief Air Chief Marshal N.C. Suri told ThePrint he did not write any such letter, but agreed that forces should be kept away from politics. Former Army Chief General (retired) S.G. Rodrigues also denied writing any letter. “We, in the services, have always done what the government in power has ordered us. We are an instrument of the state. We are apolitical. Anyone can say anything and then sell it as fake news. I don’t know who this gentleman is, who wrote this (purported letter),” he told news agency ANI. However, Major (retired) Priyadarshi Chowdhury, who had mailed the letter to the Rashtrapati Bhavan, Friday posted screenshots of mails by Suri and Rodrigues on Twitter, purportedly giving consent to the letter. Among those who denied writing the letter is also former Army Vice Chief Lt General (retired) M.L. Naidu. “No, my consent has not been taken for any such letter and neither have I written any such letter”. Former Navy chief Admiral Suresh Mehta, however, said he did endorse the letter. This is the Congress dirty tricks departments work. In the past few months, we have had 60 Civil Servants sending notes to the president and nobody knows who these civil servants are and how civil they were! What is sad that the Media falls for these baits and publishes them without propose verification. If this continues then perhaps it is better to read news on What’s app! Not ours, say 2 ex-chiefs on letter to President against military for poll gain General SF Rodrigues who is listed as the first signatory to the letter said to have been written by armed forces veterans to President, called it a classic manifestation of fake news. Shame on the dirty trick department of congress. Where were these veterans when a serving chief of staff was refered to as “Gali ka goonda”..
Tectonic plates are moving. Not a happy augury.